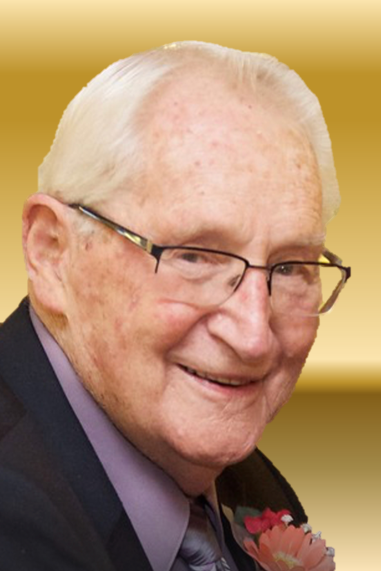 C. Louis Wascher, 90, of Williamsport, died Friday, August 31, 2018 at UPMC-Susquehanna. Lou was preceded in death by his wife of 57 years, Eileen E. Wascher, on May 4, 2009. Born June 4, 1928 in Williamsport, he was a son of the late Charles L. and Myrtle M. (Decker) Wascher. A 1946 graduate of Williamsport High School, Lou was always proud of being part of the last undefeated Williamsport football team. Lou served in U.S. Marine Corps during WWII. He retired from the United States Postal Service after more than 30 years of service. He was a member of Masonic Ivy Lodge #397. Lou was a life member of St. Matthew Lutheran Church and enjoyed traveling, in which he and Eileen spent many winters in Florida. Surviving are his four daughters; Anne M. Bosch and husband Kevin of Cogan Station, Cheryl E. Warrick and husband Joseph of Madisonville, Cindy L. Bennett and husband Dennis of Nisbet, and Brenda S. Knarr and husband William of Loganton, seven grandchildren; Melissa, Todd (Diandra), Kimberly (Mike), Michelle (Mark), Brian (Erin), Brock and Julia, four step-grandchildren; Kim, Jon, Joe and Sara; 5 great grandchildren; a brother, Eugene W. Wascher of Olean, NY; and several nieces and nephews. In addition to his wife, Lou was preceded in death by a grandson, Eric Bennett. A funeral service to honor the life of Lou will be held 10:30 a.m. Wednesday, September 5, at Sanders Mortuary, 821 Diamond St. Williamsport. Burial will follow in Montoursville Cemetery with military honors accorded by the Korean War Veterans of Lycoming County. A viewing will be held from 6-8 p.m. on Tuesday at Sanders Mortuary. Memorial contributions may be made in Lou’s name to the American Cancer Society, c/o River Valley Relay for Life, 1948 East 3rd St. Williamsport, PA 17701.